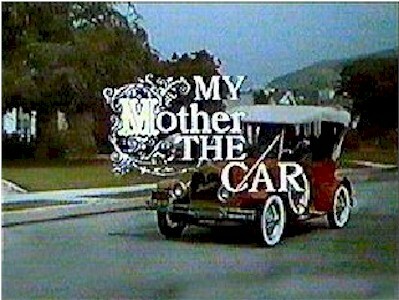 BTW, "Mom" may have been a 1928 Porter in the show, but there was no such car in real life... There was a Porter car right around 1900, and another Porter car company cam about in 1919, but lasted only until 1921 or so. I loved this show when it was on... I've seen an episode or two online since, and it is... welll.... not so good. Still, it could have been very funny with a few tweaks... The idea, as crazy as it was, was no worse than many of the others on the air in this era, and could have been really good with better execution and/or a few adjustments to the story... And re-cast the wife! Stiff as a board! Avery Schreiber played the villain to the hilt, in a Mack Sennett-style way that fit the idea perfectly. I do love the theme song, roaring-20's style stuff! Often cited as "the worst TV show of all time".